White wine from Italy. It’s more than just Pinot Grigio. When you think of Italian white wine, Pinot Grigio probably comes to mind first. But there are some fantastic white wines from Italy that aren’t Pinot Grigio. Similar to Pinot Grigio, the three wines I’ve listed below are dry, crisp and clean. They all complement lighter fare. And, they are all quite affordable. Dry, light, crisp and clean with excellent acidity is the 2016 Calasole Vermentino from Rocca Di Montemassi. This Vermentino is extremely food friendly. Pairs well with light foods like salads and seafood, but it’s also welcome with heartier food, as its bright acidity cuts through the heaviness, lifting the food’s flavors. At just about $10 at most retailers, it’s a can’t miss wine. Gran Passione Bianco 2017. 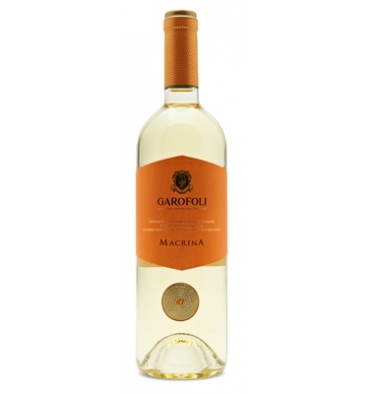 A lush blend of Garganega and Pinot Bianco. Nice body without being heavy, fruit forward, without being sweet or cloying. This is simply a wonderfully balanced delicious white that can be enjoyed with or without food. At under $15, it is a terrific bargain. Garofoli Macrina 2017. This wine is 100% Verdicchio. Dry and crisp with beautiful notes of honeysuckle, lemon and peach. Medium bodied with a lovely mouth feel. There was a little frizzante upon opening, that, while most likely unintentional, added to the freshness. At under $15 at many retailers it’s a great buy!